Both the London clubs have entered the knockout stage, but the Gunners witnessed Danny Welbeck stretchered down the tunnel with what looked a nasty ankle injury. Arsenal's unbeaten run under Unai Emery has extended to 15 matches with a goalless draw with Sporting Lisbon in their UEFA Europa League group match even as former Gunners Olivier Giroud scored for the London rivals Chelsea in another match on Thursday. The draw helped Arsenal booked a place in the knockout stage and the Blues also eased through the next round with a 1-0 win at BATE Borisov in Belarus. The goal helped Giroud end his 11-game goal drought this season. 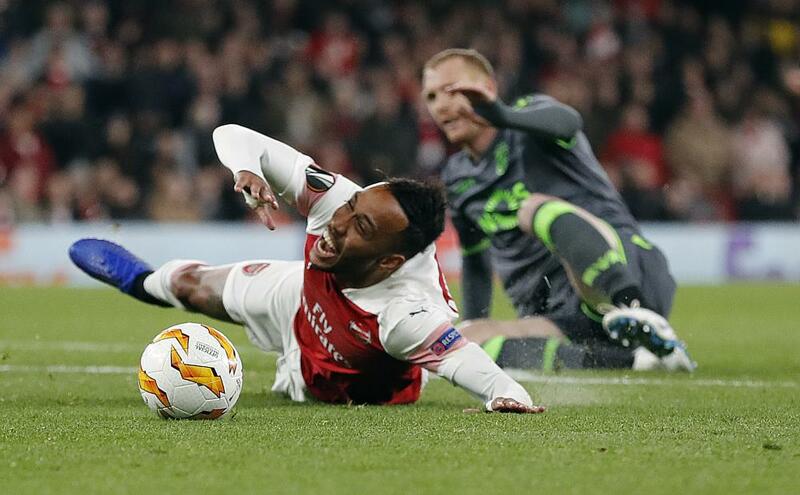 Gunners were the better side for long periods at the Emirates against a team who have already had three different managers this term, but were forced to settle for a point despite Sporting being reduced to 10 men late on when former Barcelona centre-back Jeremy Mathieu was sent off.